Every type can be confused for different types from time to time, especially when enough research isn’t put into the process. There are plenty of ways to avoid this confusion, since mistyping can lead to a lot of troubled interactions. It is important to approach the situation from different angles and work hard to really dive into understanding one another. When it comes to really trying to get to know someone, you should never just look at what is seen on the surface. INTJs are complex people, which is one of the major reasons why they can be so easily mistyped. People don’t just fit into a neat little box, and so really digging deeper is necessary in order to understand them on a very real level. INTJs can be mistyped as a myriad of different personalities, but there are a few which seem to happen more commonly. 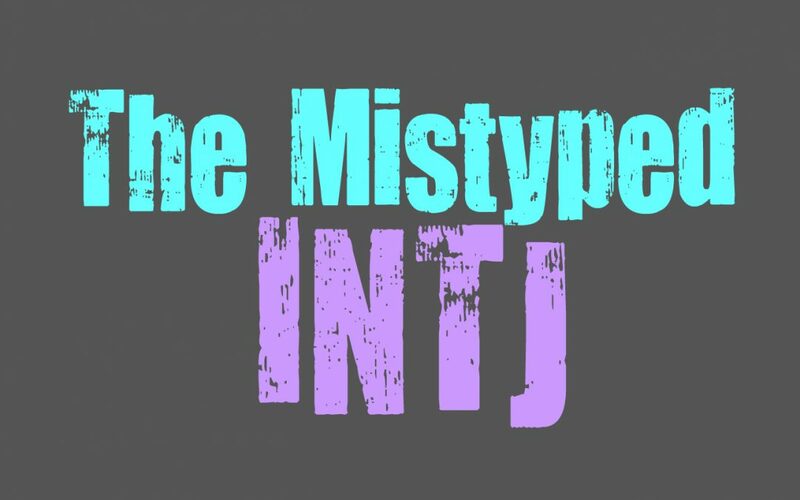 The INTJ is often mistyped as INTP, INFJ, ISTJ and ENTJs. Each mistaken type happens for its specific reasons, and so it is important to understand their similarities and differences so that you can accurately compare them. In order to properly understand your INTJ, you need to take a step back and understand every layer of what makes them tick. Often personality types are mistaken because people simply focus on the letters, instead of looking at the functions which make up the type. The letters are useful but they don’t really convey the more intricate parts of each personality type. Just looking at the letters is like looking at surface, and this often causes confusion as to which type is which. INTJs can be confused as INTPs because of this, when in truth they have many differences in their personalities. They are both logical types who focus on understanding information and learning more about the facts. While they base their choices on being rational and logical, this is just the tip of the iceberg. INTJs are dominated more by their introverted intuition, which is how they come to so many accurate conclusions. Their mind processes facts and information over time, and ultimately this leads to them being able to predict future results. INTJs are more focused on this way of coming to conclusions and this is a very internal process which most people can’t quite comprehend. For the INTP their strongest function is their introverted thinking, which causes them to spend a lot of time inside of their minds. They also are intuitive people, but in an entirely different way than the INTJ. For INTPs their intuition is extroverted and focuses much more on looking at patterns and possibilities. Because of these qualities the INTJ is more focused on facts and what can be proven, while INTPs sometimes veer off in unusual directions and enjoy considering possibilities which are difficult to really prove. The dominant function is a big reason why many types become mixed up, since this is what is represented the strongest in each personality type. Our dominant functions is how we really process things and is the front line of how we make choices. While each function combines to make a person who they are, the dominant function is the one which can be easily noticed. For the INTJ that function is their introverted intuition, which they share with the INFJ. These two types might have many differences, but they can appear rather similar from an outside point of view. Both the INTJ and INFJ focus strongly on their intuition, which is how they often come to conclusions about the future. This is what helps them focus on which direction they want to move towards, but it also causes them to have a truly rich inner mind. INTJs and INFJs spend a lot of time inside of their heads, and enjoy really diving into their thoughts for long periods of time. This definitely causes people to have trouble differentiating these two types, but there are many differences and so it just requires looking a little closer. The major differences of the INTJ and INFJ, is that the way they process and respond to emotions. INTJs are not focused much on their own emotions or the emotions of others, instead they focus strongly on facts and information. INFJs are actually deeply compassionate people, with a strong sensitivity to the feelings of others. Instead of trying to be practical about everything, they will forgo this in order to be considerate of the emotions of others. The INFJ will express themselves in a much more connected and compassionate manner, while INTJs are rather direct and tend to avoid emotions entirely. Of course extroversion versus introversion is common reason why the INTJ becomes mistyped. This is often the most difficult one to understand, since both the INTJ and ENTJ share all of the same functions just in a very slightly different order. They are close enough in qualities and the way they respond to the world, that is becomes difficult to always tell them apart. ENTJs aren’t constantly in the mood for social interaction and so sometimes their desire to be alone can confuse people. At the same time INTJs are direct and firm people, who can command a room if they need to. These things make it difficult to separate the two types, and so it requires really taking a closer look to fully tell them apart. While ENTJs might enjoy time alone, they are often more outgoing and gregarious than the INTJ. INTJs can be a bit snarky and become seriously short tempered if they don’t get plenty of time alone. While they might be outgoing sometimes INTJs don’t just like alone time, they actually require it. ENTJs will be able to push themselves and spend much more time around people and larger groups, while the INTJ will make their need to get away rather obvious. Another big way to tell the difference is by paying close attention to their strongest function. ENTJs are much more focused on efficiency and can be rather aggressive when they are trying to take charge of a situation. Their dominant extraverted thinking causes the ENTJ to really take control and even enjoy being the leader of the group. For the INTJ their intuition is much more of their drive in life, and leads them to spend a lot of time inside of their own minds processing and thinking through all of this detailed information. The most important thing to remember is to analyze all of the types and really consider the details of their personality. Understanding the differences as well as the similarities, is one of the most helpful ways to get to know what makes each personality type tick.